Home/Food allergy? Cure it with bacteria. Countless microorganisms live in your intestinal tract. Researchers at the Technical University of Munich (TUM) have now shown that intestinal bacteria also play a role in determining the strength of serious allergic reactions to foods. The human microbiota – or the entirety of bacteria which live in and on you – has a complex influence on health. Even how you react to food allergies. But the gut flora and the various elements of the immune system are closely interwoven and mutually influence each other – so much so that your body is able to recognise your normal gut flora. The scientists investigated the effects that occurred when this ability to recognise such bugs is artificially switched off. What they discovered was the body’s immune reaction changed fundamentally. Instead of cells such as regulatory T cells, which suppress an activation of the immune system, a greater number of what are called Th2 helper cells are formed. These cells cause a larger number of the antibody immunoglobulin E (or IgE for short) to be produced. In persons suffering from food allergies, the IgE in the body has been “trained” for the corresponding allergens, and stimulates distinct cells to trigger an allergic reaction when it detects the allergen in the intestine, for example. The greater the amount of IgE, the stronger the allergic reaction. Accordingly, the scientists observed particularly serious allergic reactions when the recognition system (called NOD2) was turned off. 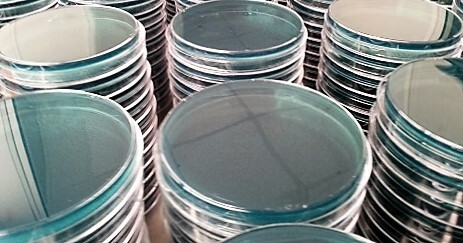 This relationship between intestinal flora and the production of antibodies may well open up new therapeutic approaches for patients whose microbiota is altered – for example, if it is possible to encourage harmless bacteria to colonise the intestines, this would also reduce the body’s reaction to allergens. Does this mean ‘live’ yoghurt or probiotics will stop food allergies? Unfortunately not. It’s too early to tell how this research might translate into a treatment plus there are thousands of different species of bacteria in the gut – so adding a few species more is like sowing corn in a rainforest!